Sharing two looks from River Island today! They have so many cute new arrivals lately, we check their site daily because they’re always getting new pieces in and they tend to sell out quickly! I love a good matching set – especially a versatile one like this! This sweater + pant combo can be worn with heels for date night or sneakers for an everyday look! It’s super stretchy and comfy, it feels like you’re wearing jammies! I love the deep green color – it’s even prettier in person! Love this little pendant necklace! Looks cute on it’s own or layered! 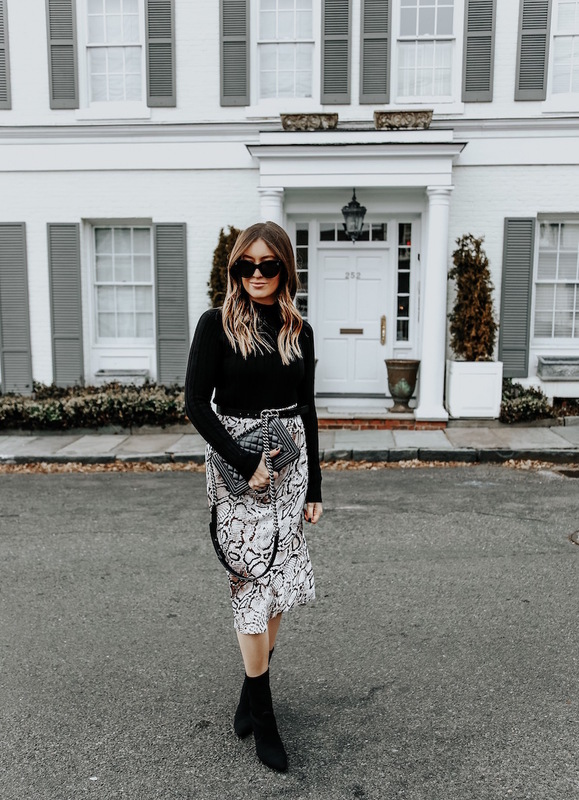 A slinky midi skirt has been on my wishlist since fall, and this one is so good. The waistband is elastic (yes please! ), and it comes in 9 color options. I just added the plain black to my cart! If you can’t tell I’m collecting black turtlenecks this year. I honestly wear them all the time, so I like to have different options. I love the ribbed knit of this one and the fact that it’s a mock neck (I’m wearing a UK 8). Speaking of sweaters, how cute is this leopard one?! It just went on sale, so snag it before it’s gone! Big thanks to River Island for partnering on this post! Love both looks! That green set looks so comfortable! I am so loving monochrome. 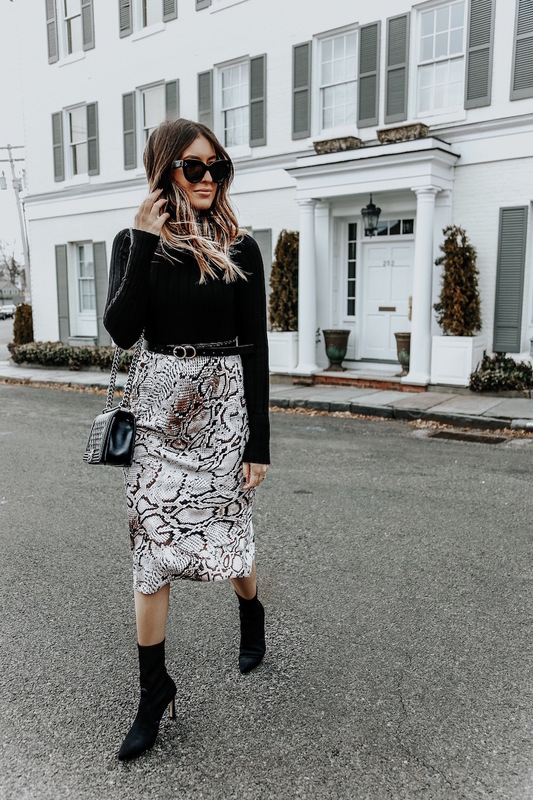 Oh how amazing is that snake print skirt! I totally fell in love just then and there! Where do I find all the spring break cute clothes in one place you posted on your story last night? Love all of those ideas. Are they going up on your website soon? We saved them to a highlight called spring break!